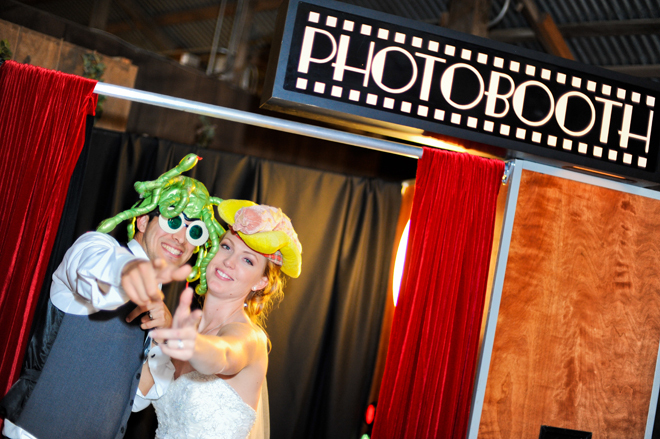 Welcome to Jensen Photobooth, one of Northern California's premier photo booth rental companies. Disappointed by the cheap pipe-and-drape or unsightly black box photo booth designs you've seen? We offer Sacramento's most beautiful vintage enclosed photo booths as well as popular open-air booths. You will also notice a huge quality difference in our booth photos because we use professional Dye-Sub printers, digtal DSLR cameras, and soft, even lighting. Whether its a Wedding, Graduation, Corporate Event, Promotion, or Party, we would love to talk with you more about our services. Although we are based in Sacramento, we travel anywhere in Northern California. Our Photo Booths now start at just $699! "The photobooth was a hit! It was great to see family and guests of all ages having fun with the costumes... plus the picture printout keepsakes were an added bonus for everyone to enjoy!! When we received the digital prints on DVD, we couldn't stop laughing at all the crazy pictures everyone took! We will cherish this gift forever and so much of your efforts helped make our day more special than we could have hoped for... Thank you!" "The Photobooth was a blast! ...You're whole wedding was spectacular! Thanks for such an awesome time." "(the Photo Booth) was awesome. We really enjoyed it. Thank you for having that. :)"
"The different backgrounds & props were fun! It was cool to be able to instantly see your photos and decide what to do next. I will cherish my pic. & was so glad you had that feature." "Great Idea. It was the first time I’ve seen something like that at a wedding, and I thought it was another great way to make sure everyone was having an awesome time. Besides.. now you guys have fun pics of everyone that was there."